It is said that the administrator has access to all the operations of the computer. However, there are certain things in which even an administrator faces problem and hence it can be very frustrating. It is sometimes difficult to delete certain files from the system for which there can be a number of reasons. Types of undeletable files and reasons why they can’t be deleted manually. 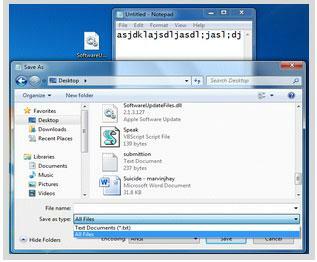 The file is used by another program or user. The source or destination of the file may be in use. Make sure the disk is not full or write protected and that the file is currently not in use. These messages really makes it hard to delete the files and no matter how many times we try, these files can’t be deleted by simply pressing delete button. There are several ways which can be followed to delete these type of files. 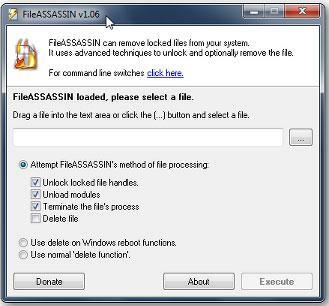 This allows you to delete the undeletable files without using any third party apps. However, you need to have a bit of technical knowledge to use this method. Setp 1. Click on the ‘Start’ button and then type ‘Command Prompt’ or ‘CMD’ in the search box and press the ‘Enter’ key. Setp 2. A search result appears. Right click the ‘Command Prompt’ icon from the search results and click on ‘Run as administrator’ from the list that appears. Setp 3. 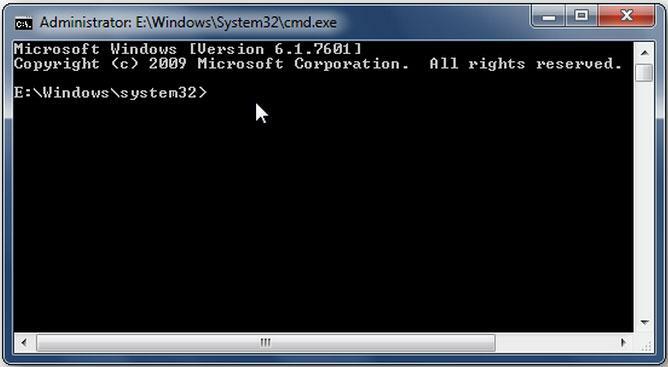 This will launch the administrator level command prompt window which allows you to execute commands without any restriction. /Q: stands for quite mode option. Setp 4. For example you need to delete a file named ‘virus.exe’ present in the desktop, then the enter the command as shown and press the ‘Enter’ key. This will delete the file from your system. Setp 2. Now click on the browse icon (rectangular shaped icon with three dots adjacent to blank space) to select the files you want to delete. Setp 3. Browse for the file you want to delete and then double click on it to select it. 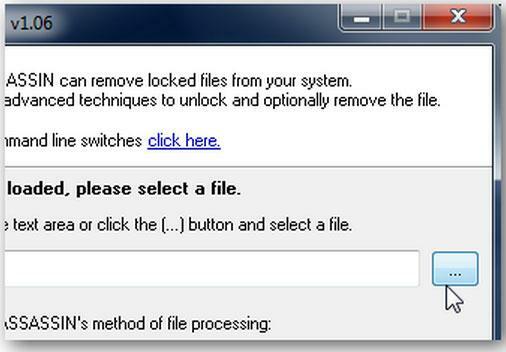 Once you have select the file to be deleted, click on the box adjacent to ‘Delete file’ option to select it. A blue tick indicates that the option has been selected. Setp 4. Finally click on the ‘Execute’ option to delete the file. Your file will now be deleted. One of the simplest way of deleting an undeletable file can be done by simply replacing it with other file of same name and extension. This can be done very easily as shown below. Suppose file named ‘SoftwareU’ is my undeletable file. Setp 1. Open a new notepad file on your system and simply type anything random in it. Now, click on the ‘File’ option and then click on ‘Save as’. Setp 2. 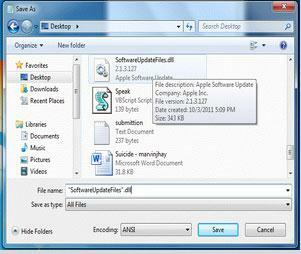 Now, select the save location of the notepad as same as where the undeletable files are present. After doing so, choose the file type as ‘All files’ under ‘Save as type’ option. Setp 3. Now, click on the undeletable file once so that the name of the undeletable file will be copied in the ‘File name’ option. Add the quotation mark at the start and end of the file name as shown below and the click on ‘Save’ option. Setp 4. Now, a message will pop up asking ‘Do you want to overwrite and replace the existing file?’ . Click on ‘Yes’ and the undeletable file will be automatically replaced by the new notepad file. 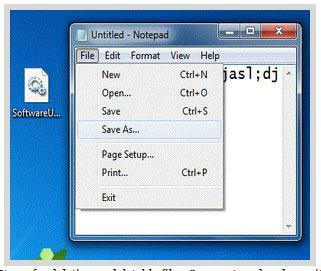 Now, you can delete the notepad file by simply selecting it and pressing the ‘Delete’ button. Here are a few of the tips and tricks that you need to know about when performing these actions. 1. It is generally advised to have an antivirus program in your system, which is up to date to prevent your system from malwares, spywares and viruses which create unnecessary undeletable files. 2. It is generally better to take the advice of an expert before performing unknown system operations.